Designation of Lectotype for Haliotis crebrisculpta Sowerby, 1914, with a discussion of H. clathrata Reeve, 1846 (non Lichtenstein, 1794). Stewart, K. A. & Geiger, D. L. 1999. The Veliger 42: 85-96. 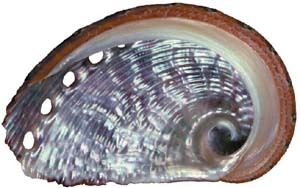 The three syntypes of Haliotis crebrisculpta Sowerby, 1914, belong to two species. The figured specimen of Sowerby (BMNH 1919.12.31.19) is designated as lectotype. 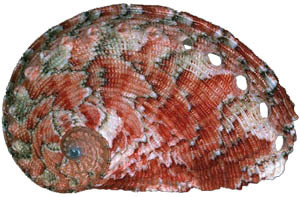 This species remains known from a single shell from New Caledonia. It is characterized by the eccentric apex (1/7.2 from the posterior margin of the shell) of the oblong shell and its strong spiral cords bearing numerous scales. The other two specimens in the syntype series of H. crebrisculpta are referable to H. clathrata Reeve, 1846 (non Lichtenstein, 1794). Haliotis clathrata Reeve has been poorly identified in the literature. It is redescribed on shell, radular and epipodial characters. 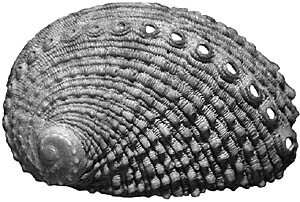 Haliotis clathrata is not a subspecies of H. rubra Leach, 1814, but the fossil H. tuvuthaensis Ladd in Ladd & Hofmeister, 1945, is synonymized under it. The species ranges from Madagascar to American Samoa and from Southern Japan to the Sydney area of southeastern Australia. 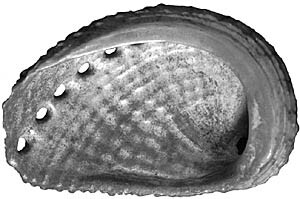 Haliotis crebrisculpta Sowerby, 1914: Lectotype.